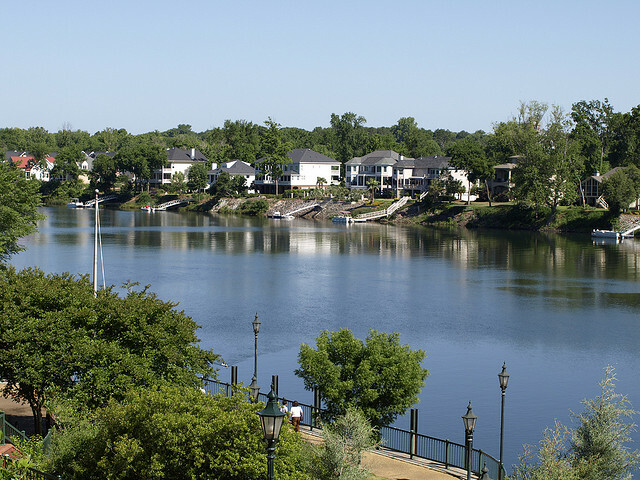 Perhaps best known for hosting The Masters golf tournament each year, Augusta is a lush, green city on the fall line of the Savannah River. With a rich history dating back before the Civil War, Augusta has a number of historic communities and gorgeous historic homes. Augusta has been recognized as one of the best places to live, chosen for its location along the river and hint of southern hospitality. A low cost of living with a good job market makes Augusta a comfortable place to settle down. Augusta has long attracted a large military population with Fort Gordon, and with the installation of the United States Army Cyber Command located at the post, military professionals continue to relocate to Augusta. As more and more new residents discover the beauty and charm of Augusta, sales prices continue to appreciate while the number of sales holds relatively steady. In this market, it’s essential that you work with a qualified, experienced real estate agent that can provide you with the knowledge and guidance you’ll need to succeed whether you’re buying, selling, or investing in Augusta. We’ve highlighted the 15 best real estate agents in Augusta. These Realtors offer an excellent experience and results for their clients, and any one of them would be a great choice for your next real estate transaction in Augusta, so they’re listed without regard to ranking. Of course, we want to know which one you think is the best. That’s why we’ve included a poll at the end of this article. Please vote (within the next 30 days) for the Augusta real estate agent that you think is the absolute best in the city. 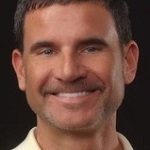 Mark Mulich is the broker and owner of Mulich Realty. He has more than 16 years of experience in real estate, plus helpful experience in real estate investing and information technology. Mulich specializes in relocations, including military relocations, and he’s very helpful with financing as well. His clients say he is professional, stays in constant contact, and makes the real estate sales process easy. They especially appreciate his keen eye for detail and ability to spot home problems that others might not notice. Martha Robertson is the vice president of Rex Property & Land. She specializes and buying and selling properties throughout the Augusta area. 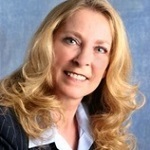 She holds a number of real estate distinctions including Certified Military Relocation Professional. In addition to real estate, Robertson is the owner of general contracting firm Robertson Restoration. Her work with this firm gives her helpful insight for real estate clients, as she can offer insight into renovations and restorations, particularly in historic Augusta neighborhoods. Robertson’s clients say she makes the process of buying real estate easy as she offers prompt, professional answers to every question. They value how much she is willing to go above and beyond the call of duty to handle every detail necessary. Christina May Blount is an agent with Leading Edge Real Estate. She followed her passion into real estate sales in 2012, and now specializes in buying, selling, and managing Augusta properties. Clients of Blount’s say she is just what they were looking for as she takes care of every detail, even making long distance moves a breeze. They say she is a pleasure to work with, responsive, knowledgeable, and always ready to listen to their wants and needs. Adelle Dennis is a residential sales specialist and an Augusta native. She specializes in real estate sales, investment, and interior design for historic properties, riverfront homes, and more. She is active in the Augusta community, serving as a member of the Richmond County Historic Preservation Commission as well as the Summerville Neighborhood Association board. Her clients say she is always professional and pleasant, and listens carefully to their desires. They think of her as an ideal agent as she expertly guides them through every step of the real estate process. 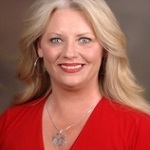 Broker with Bragg and Associates Real Estate, Kim Bragg has more than 17 years of experience in real estate. 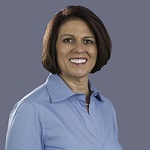 She specializes in residential sales as well as community association management and foreclosures. Bragg’s real estate designations include Certified Residential Specialist and Accredited Buyers Representative as well as Graduate Realtors Institute. Her clients love her commitment to making their real estate dreams come true, whether that means finding the perfect home or selling your old one. They say she offers excellent communication, a hopeful voice, and service that makes real estate easy. President of Shannon Rollings Real Estate, Shannon Rollings has more than 14 years of experience in real estate. Clients who work will Rollings will benefit from a careful, tailor made action plan that will help you reach your real estate goals efficiently. You’ll walk with her step by step through the real estate process as she keeps you updated on developments and answers any questions you might have along the way. Her clients say she is punctual, always available, and a sharp negotiator. They appreciate how fast and smooth her service is. 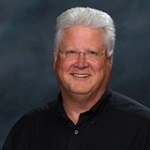 A real estate agent with more than 35 years of experience, David Steele specializes in buying and selling homes, relocations, and investor support throughout the Augusta area. He promises a seamless purchase from finding the right home to inspector referrals. With his experience and comprehensive knowledge of both Augusta and the real estate sales process, you’ll be in good hands with Steele. Clients praise his superior marketing skills and ability to sell homes quickly as well as his expert management of real estate processes. They rely on him as a resource for real estate transactions and appreciate his integrity, expertise, and how easy it is to work with him. 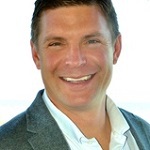 Vice president and associate broker of ReMax Partners, Fred Millard has more than 11 years of experience in real estate. It’s clear that she loves what she does, and she enjoys helping her clients every step of the way with exceptional service. 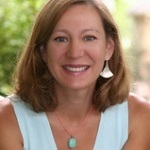 In addition to her extensive experience in real estate, Millard has a number of designations. Her real estate designations include Certified Residential Specialist, Graduate Realtor Institute, Accredited Buyer Representative, Seller Representative Specialist, Accredited Seller Representative, Seniors Real Estate Specialist, and Short Sales and Foreclosure Resource. Clients find her easy to talk to and note that she listens carefully to and respects their needs and desires. They love how efficiently she is able to work, and appreciate the attention to detail she brings to every transaction. 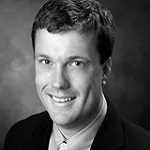 Andrew Ackerman is a broker with VanderMorgan Realty, and boasts more than 13 years of experience in real estate. He is a full service real estate broker for the Augusta market specializing in residential sales as well as commercial real estate sales and leasing. Clients say he is knowledgeable, offers excellent explanations, and knows the market well. They are impressed by his negotiation skills as he works to get his clients the best deal possible. An agent with ReMax True Advantage, Heather Story specializes in listing and buying homes in Augusta. 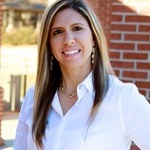 She has more than 15 years of experience in real estate, and formerly worked as a mortgage loan processor and real estate paralegal. Story is particularly strong at real estate closings, and promises to make your experience of buying or selling a home a smooth process. Clients say she always keeps them updated, is just a call or text away, and does an excellent job preparing them for closing. They’re also impressed by her excellent marketing skills that help them get the best market price for their homes. 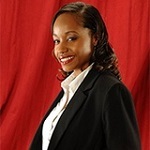 Jasmin Bradley is a residential specialist with Keller Williams in Augusta. 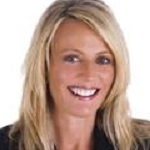 She focuses on residential sales, including relocations and short sales. Bradley is particularly helpful for military relocations, as she is a U.S. military veteran. She is also an expert in the local area, offering each client excellent knowledge and expertise for the housing market. Bradley can help you find your next home, or consult you on the best way to get top dollar for the sale of your home. Clients say she keeps them well informed, answers every question, and shows tremendous excitement as she helps them reach their real estate goals. They love her excellent customer service, friendly personality, and dedication to taking care of their needs. 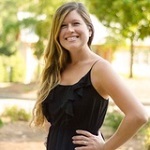 Natalie Poteete has more than 11 years of experience in real estate, and she and her team are recognized among the leaders of the Augusta real estate market. She is consistently named to the ReMax Platinum Club as well as the 100% club. Among her biggest strengths are her knowledge of the area with information on real estate, schools, businesses, and neighborhoods throughout Augusta. She also delivers excellent marketing plans and customer service for every client. Poteete’s clients say they feel like she is always there for them and appreciate her guidance throughout the entire process. They note quick responses, excellent organization, accountability, and a willingness to work around any schedule. Known as “The Dealmaker,” James Schaffer was the top Realtor for 2014 with Keller Williams Augusta Partners, and has more than 10 years of experience in real estate. He is licensed in Georgia, Florida, and South Carolina, and offers an excellent wealth of knowledge for clients in Augusta and beyond. Schaffer is committed to working diligently for his clients and paying attention to their needs, sharing the best information, care, and support. His clients say he goes the extra mile, and that his service is unmatched in Augusta. They’re impressed by how hard he fights to negotiate on their behalf to get what they want. Michelle Lockhart is vice president and associate broker of Blanchard and Calhoun in Augusta. She has more than 12 years of experience in real estate. 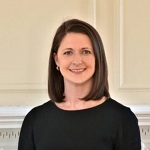 But Lockhart has more to offer than just over a decade of experience: Augusta is her hometown, and she has superior knowledge of the city’s neighborhoods, market, and homes. Lockhart specializes as a buyer’s agent and listing agent with relocation assistance, foreclosures, and short sales. Clients say she is amazing and always makes time for them, responding quickly to their questions. They note her professionalism and how well she devotes her time, patience, and expertise to them. 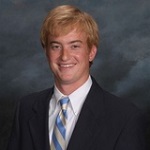 Ross Trulock is a real estate agent with Blanchard and Calhoun, and is a second generation Realtor. He specializes as a buyer’s agent and listing agent, as well as a commercial real estate agent. He has more than nine years of experience, and is committed to Augusta’s future. In addition to real estate sales, Trulock’s team supports his clients with services in insurance and mortgage lending. Clients say he is helpful, a pleasure to work with, and extremely knowledgeable. They’re impressed with how quickly he is able to sell homes, and credit his excellent work ethic as the source of their success.